Overwatch Release Date Set for May 2016 | Nerd Much? It looks like Blizzard’s highly anticipated multiplayer shooter, Overwatch, finally has its release date, as we now know that the upcoming game will be released on May 24 for PC, Xbox One and PS4. 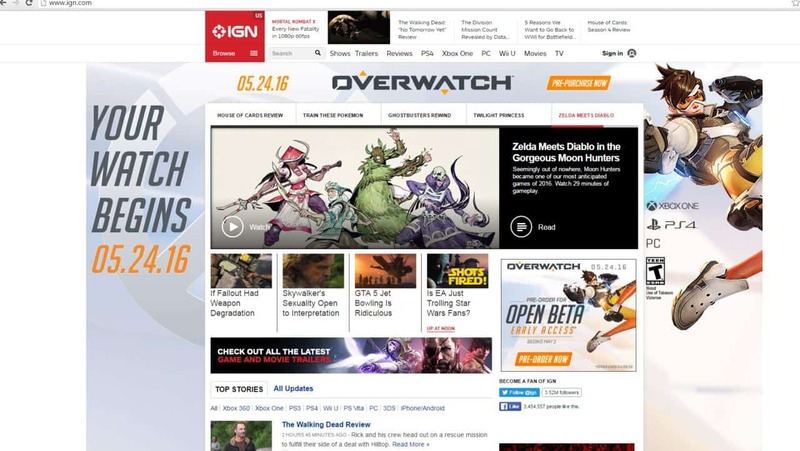 The news comes via a mishap over at IGN, in which an Overwatch advertisement for the game with its released date appeared on their homepage. Of course, it didn’t go unnoticed, and thanks to Reddit, we’re able to see a snapshot of the ad. The ad also noted that those who pre-order the game will get early access to the Overwatch open beta, which will start on May 3. Normally, with leaks like these, I’d say to take it with a grain of salt. However, it’s highly unlikely that Blizzard would use a placeholder for the release date in an official ad. It’s definitely an exciting leak, as Overwatch is one of our most anticipated games of 2016. Hopefully, we’ll get official confirmation from Blizzard soon. The gameplay we’ve seen from the game so far has been exciting, and those who have gotten their hands on it claim to love it. For now, you can pre-order Overwatch on Amazon, and follow us on Twitter for updates on the game.